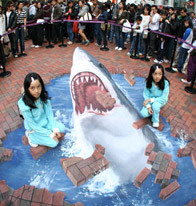 The Wonderful Worlds of Whampoa in Hong Kong have been transformed into South Africa. 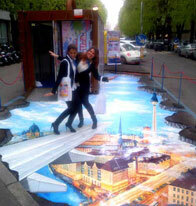 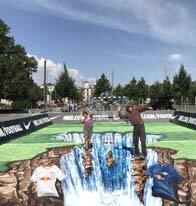 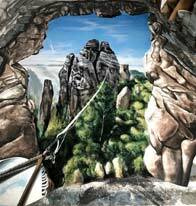 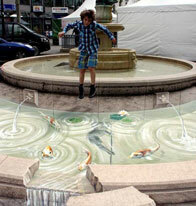 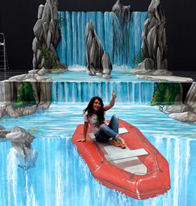 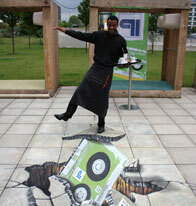 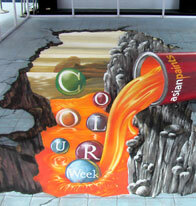 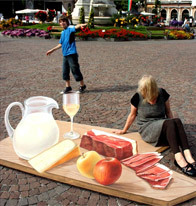 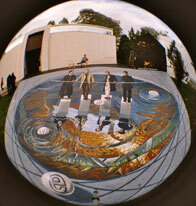 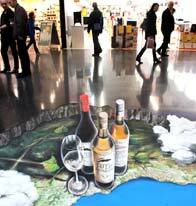 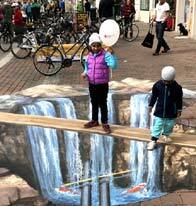 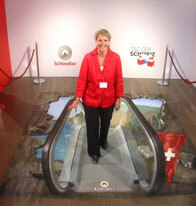 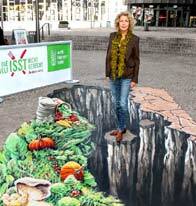 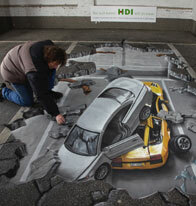 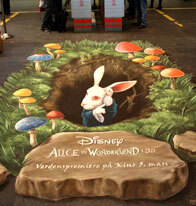 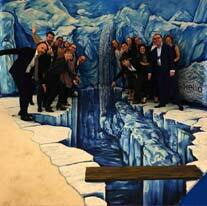 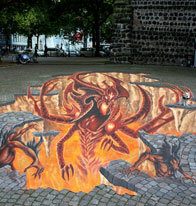 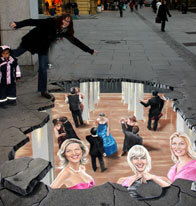 Gourmet Festival in South Tirol, interactive 3D street painting on PVC. 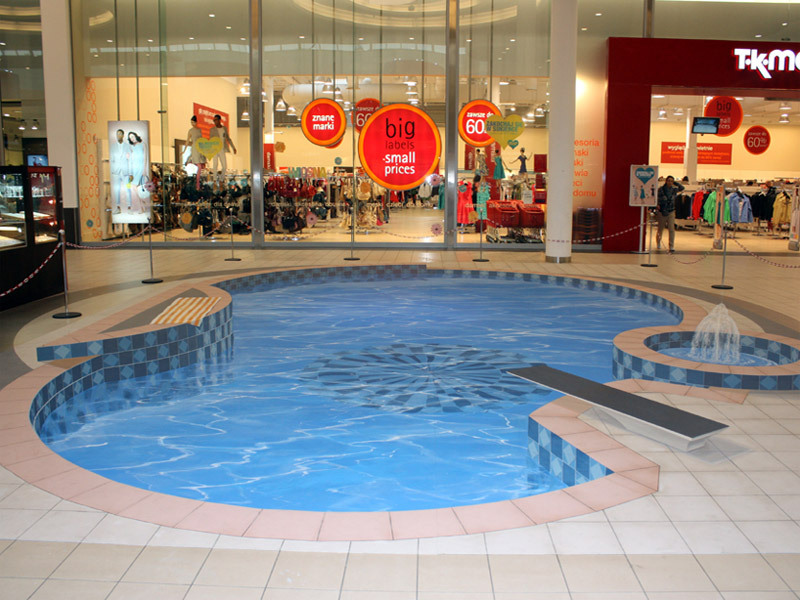 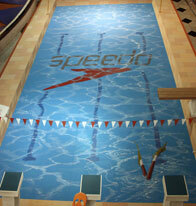 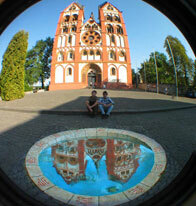 A new pool in Lodz. 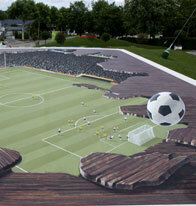 11 x 8 metres, acrylics on PVC. 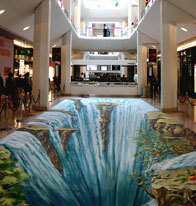 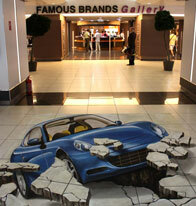 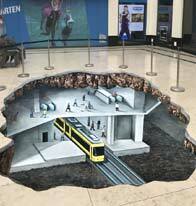 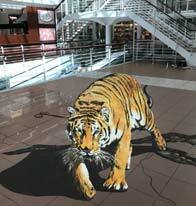 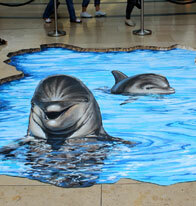 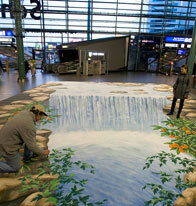 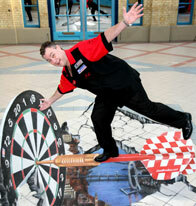 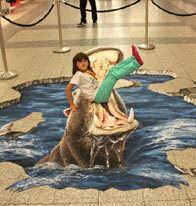 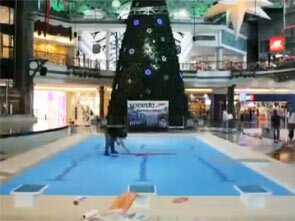 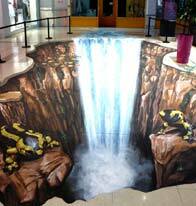 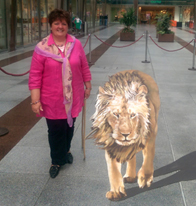 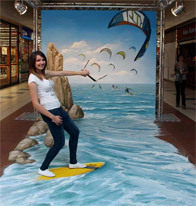 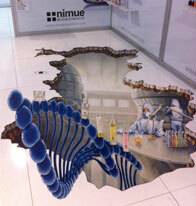 Interactive street painting on PVC in a shopping mall in Gdansk, Poland. 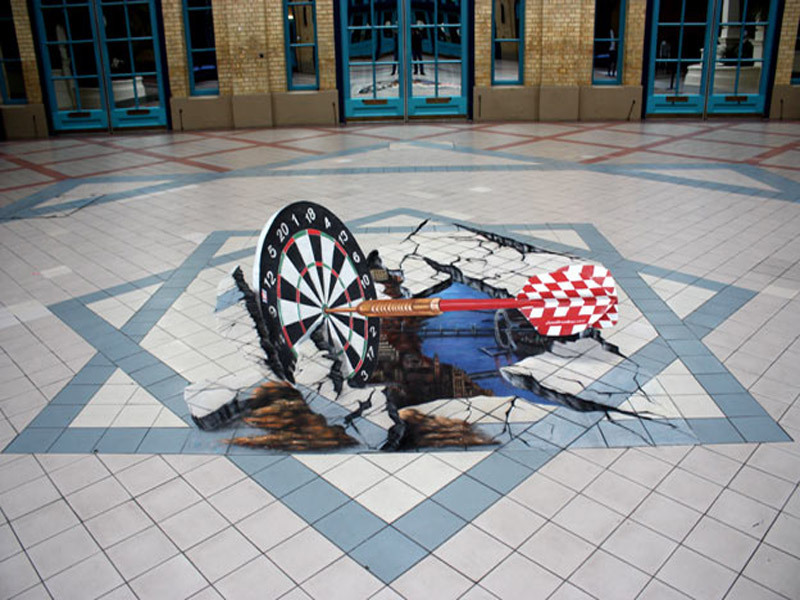 Manfred Stader began street painting and pavement art during his art studies at the famous Städelschule in Frankfurt, in early 1980s. 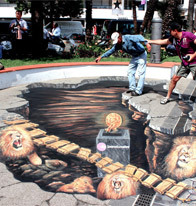 By 1985, he already became one of the few master street painters, achieving the title Master Madonnaro, a title awarded at the largest international street painting competition in Grazie di Curtatone in Italy. 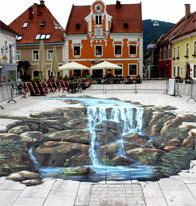 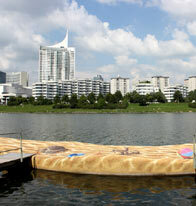 When he starts a new project, Manfred Stader is on site and demonstrates his art in front of an audience and the press. 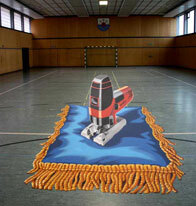 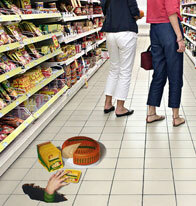 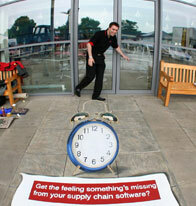 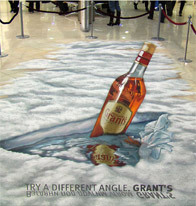 In many cases, a reference to the client's product or the theme of the given event gets incorporated into the art. 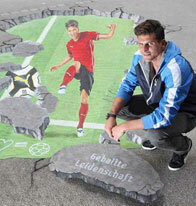 If the project involves a press conference, Manfred is always happy to join in. 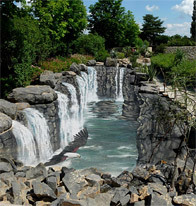 From its initial drafts to full completion, a typical project usually takes around four to eight days, depending, naturally, on the size and complexity of the painting. 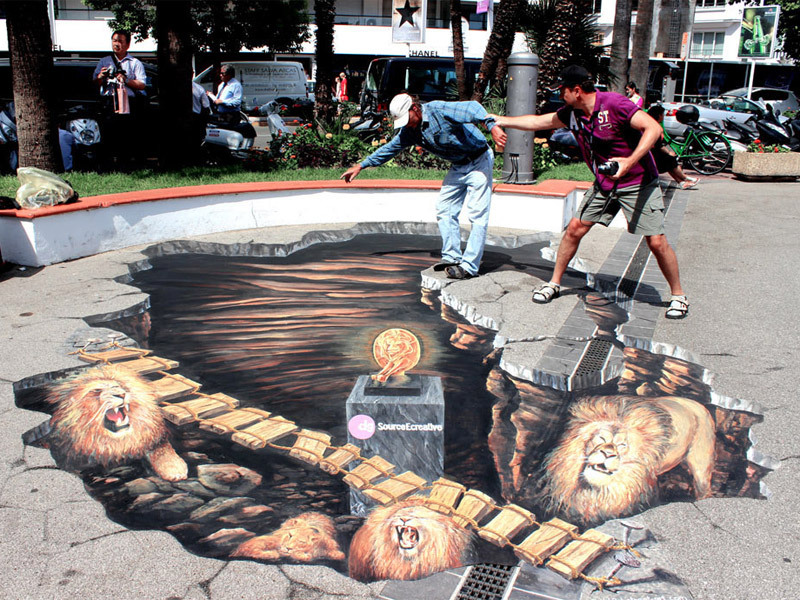 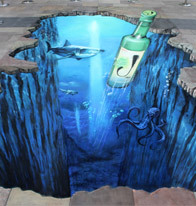 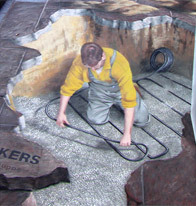 Pavement painting, pavement drawing and sidewalk chalk art is done by artists from all over the world, such as the street painters Kurt Wenner or Edgar Mueller or the pavement artist Julian Beever. 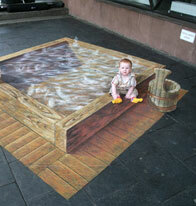 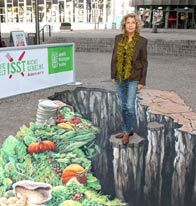 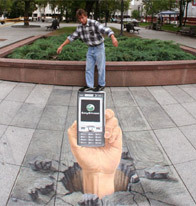 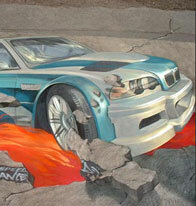 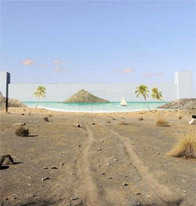 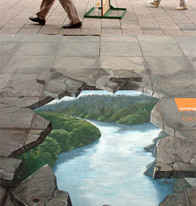 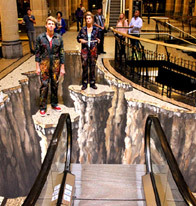 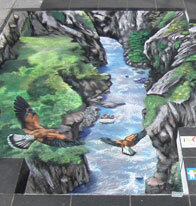 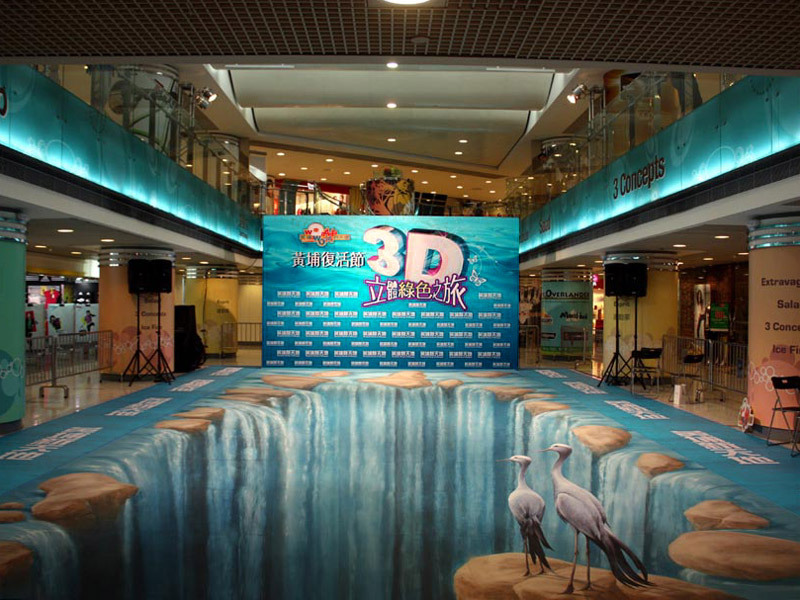 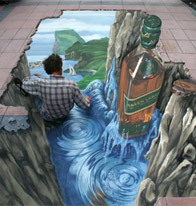 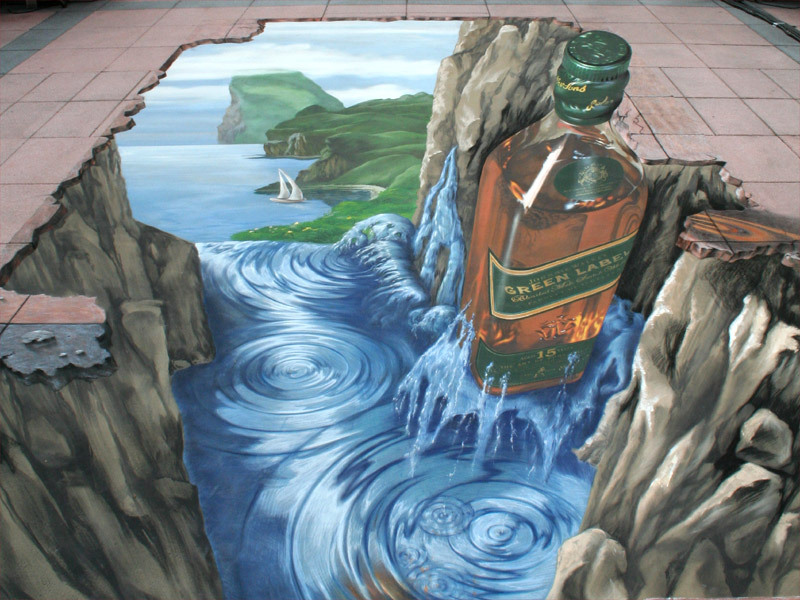 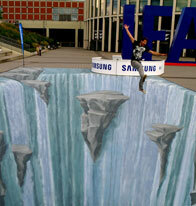 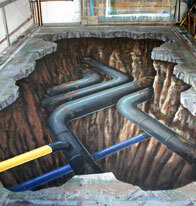 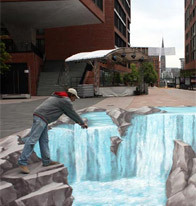 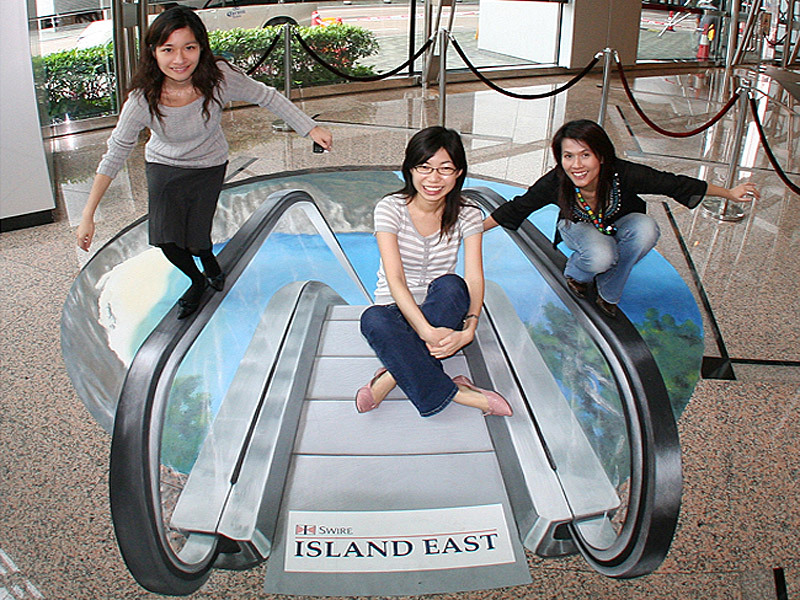 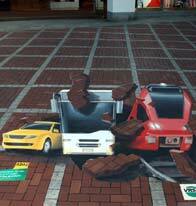 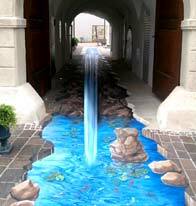 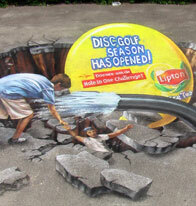 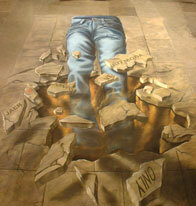 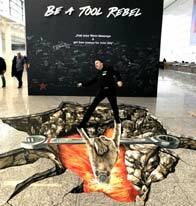 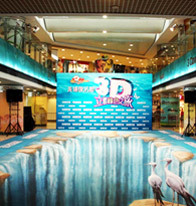 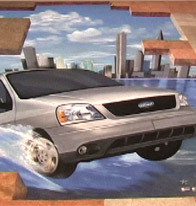 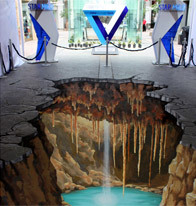 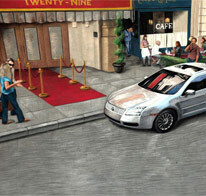 Through the study of anamorphosis used in the paintings of the Renaissance and Baroque periods to give an illusion of more height and broadness, Kurt Wenner developed a new form of street art, the 3D street painting, to produce three-dimensional impressions on a two-dimensional horizontal surface, the asphalt. 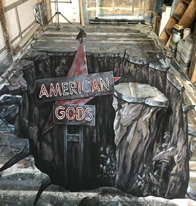 This new art form of street painting has been gaining in importance all around the globe and is disseminated by numerous artists. 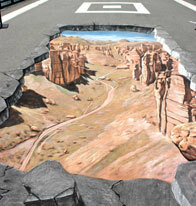 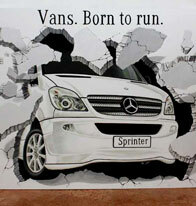 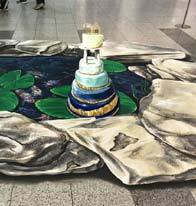 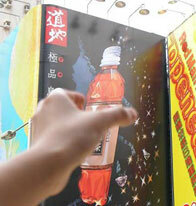 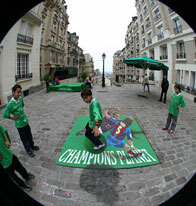 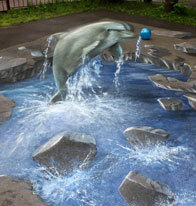 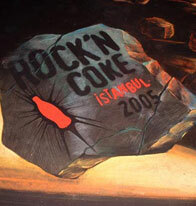 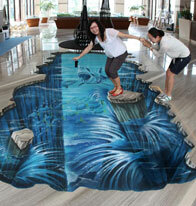 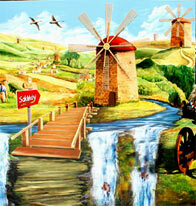 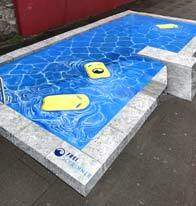 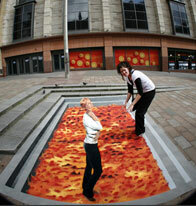 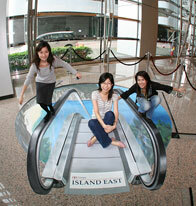 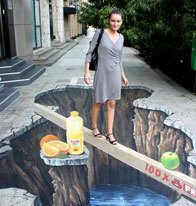 It is admired at street painting festivals as well as promotional events. 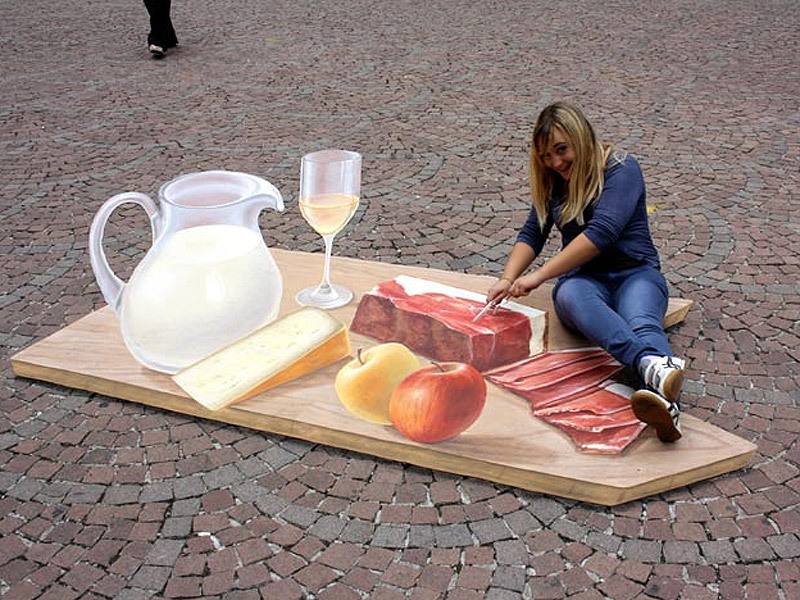 Manfred Stader combines the street painters' "folk" art, which sprung up in Italy in the 16th century, with the modern perception of illusion painting of the 21st century, using pastel chalk. 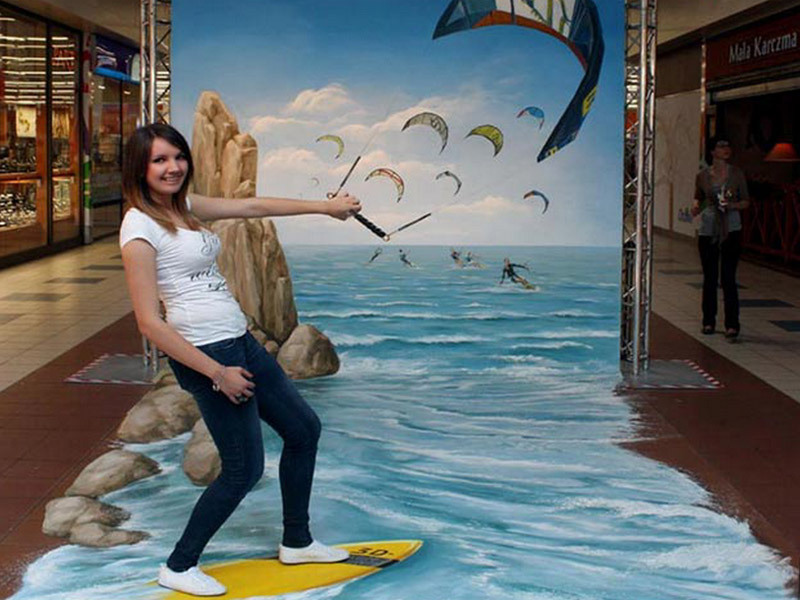 This art appeals to a very large audience. 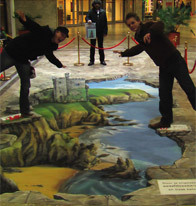 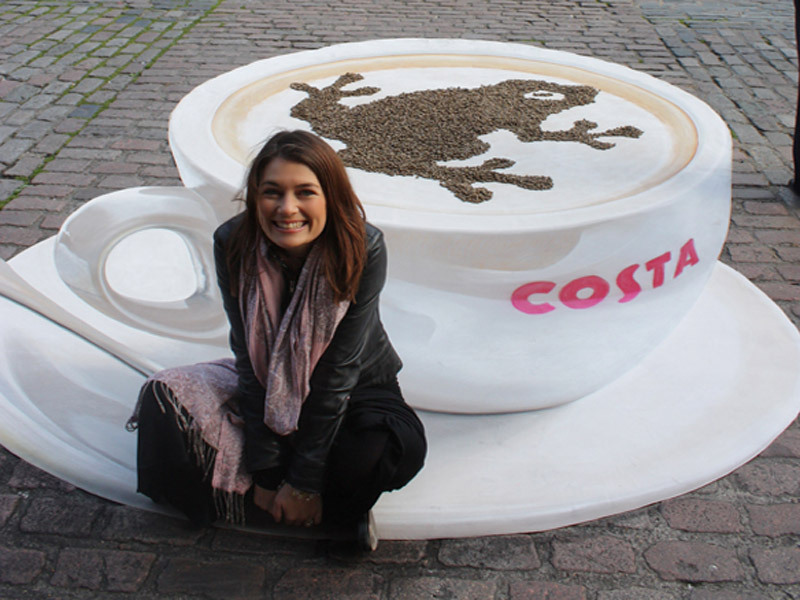 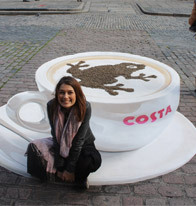 The most popular form of his art as a street painter are the interactive projects - or interactive street art - where onlookers can pose in a logical connection with the pavement art image to get photographed or filmed. 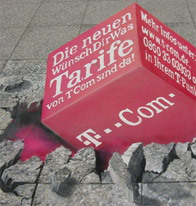 April 3rd: New website goes online with a new design and more functionality. 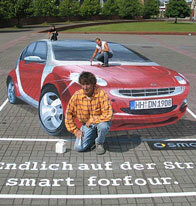 "This new art form of street painting has become important all over the world and is dissiminated by numerous artists. 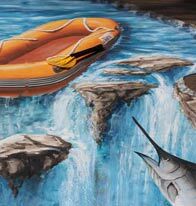 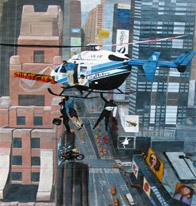 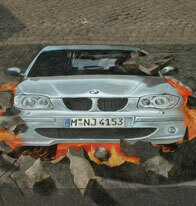 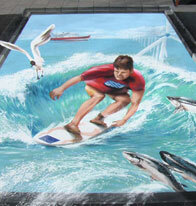 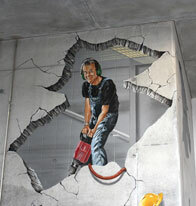 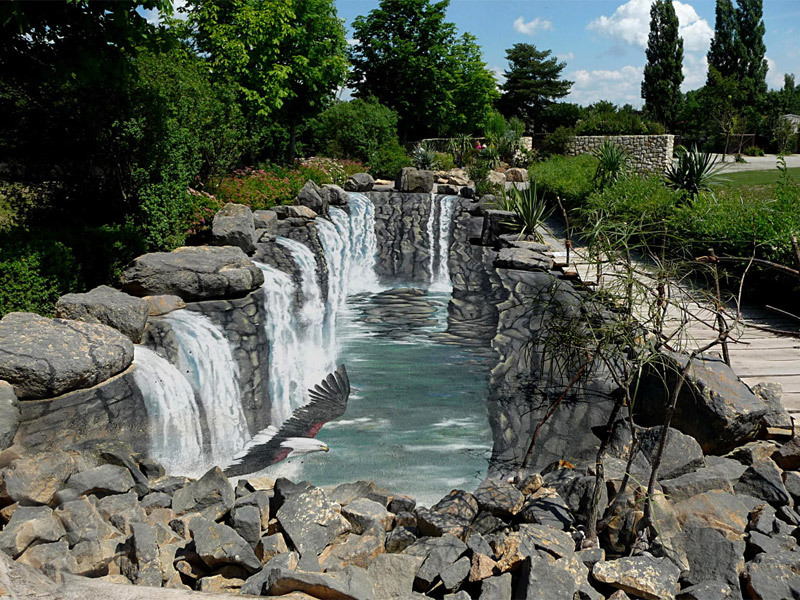 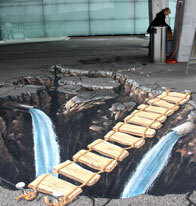 Manfred Stader is one of the best street painters worldwide.